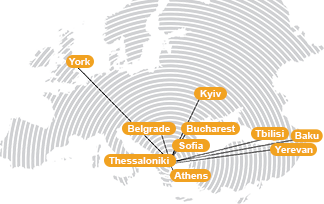 The E-PROTECT project is implemented by 5 organisations from 5 EU Member States – Bulgaria, Austria, Italy, Greece and Romania under the coordination of Law and Internet Foundation. These organisations were brought together by their desire to combine their efforts and contribute to an improved understanding on the child rights established by Directive 2012/29/EU. Furthermore, under the framework of the project, a child victims of crime individual needs assessment methodology will be elaborated to provide tailored approach toward every particular case. E-PROTECT is also extremely dedicated to raise the overall awareness on child’ rights, granted by Directive 2012/29/EU and to inspire a cooperation among the large variety of professionals which deal with child victims of crime and often are their first point of contact. This is why the project is set to develop a sophisticated online platform which will not only provide exhaustive information about Directive 2012/29/EU practical application and transposition with regards to Child rights but also host targeted online events. The project is implemented with the support of the JUST Programme of the European Commission under Grant Agreement № 760270.